The Smartphones market in India has reached a level where one doesn’t expect huge growth opportunities in terms of market expansion. Selling annually 135-140 million units as per CMR reports, it has primarily become a replacement and upgrade opportunity. Also with the emergence of JioPhone, a cusp between a Smartphone and Featurephone, the upgrade from Featurephone to a Smartphone has further been slowed. JioPhone has just emerged in Featurephone category as reported in CMR’s India Monthly Mobile Handset Report 1Q 2018. One of the strategic decisions to take for all CEOs in the industry, especially of the Indian brands is what they should be doing in addition to mobile phones. There are plans being considered completely disassociated with the product while others want an area that would let them utilise the learnings and knowhow they acquired all these years. The evolution of gadgets or devices that I see is landing us into the era of ‘AppGets’, or the gadgets coming out of what were apps so far in a Smartphone. This is a kind of cyclic movement where first we can apps eating up almost all gadgets like calculators, watches, compasses, radios, music players and many more. Now, connectivity, compute and power is getting into the latest avatars of such devices that is leading to the introduction of devices like Smart Speakers. So, what an app form of gadgets would do on a Smartphone is now happening standalone. Wall clock is one such gadget in homes that hasn’t seen much of an innovation over the years. We have seen the conventional analog dials changing into digital displays and nothing substantial beyond. This has not only made the gadget a bit of irrelevant but also affected the entire wall clock making industry. A Smart Wall Clock can be an interesting proposition in the market. The trend of Smart devices is shifting from individual level to a unit – home/office level. So the newer Smart devices are for a family / household. We have Smart TV and Smart Speakers as examples in the market. Wall Clock exactly fits in the domain. Let’s explore what a Smart Wall Clock could be an exciting offering. Other than measuring the day and night by way of keeping seconds, minutes and hours, the Smart Wall Clock can add up a lot of utility in a household. A weather widget can be added as a feature that can give all the details which we usually fetch from a weather app. This would include temperature, humidity, weather condition, etc. Adding a couple of sensors can also give the air quality and odour levels of the room. Similarly, adding a mic and camera could let it do some more functions. These could include, playing out some melodies / relaxing music in the room. The Smart Clock could also do what the Smart Speakers are used for. We could interact with the Smart Clock and ask questions and updates. The Smart Clock could also show up the calendar which could set reminders like paying of bills, replenishing of home inventories, regular family health check-ups and even attending family and friend parties and celebrations. Least to speak about it being used for setting up alarms. We also have a culture of hanging portraits significant to our faiths. The Smart Wall Clock can have wallpapers that could be changed to display our preferences. These could also be aligned to festivals like Diwali, Holi, Christmas and Eid. The same device can double up as a security interface. There is no need to have a separate video door bell. The Smart Wall Clock can serve the purpose. A lot of families, especially young working parents use surveillance cameras just to peep from workplaces to check upon kids and their caretakers. The Smart Wall Clock can do that as well. This would also extend into a video call. Regarding the feasibility of the product, there can be definitely at least two variants – one with a monochrome display and limited functions and another with a larger size display that could compliment many more use cases. 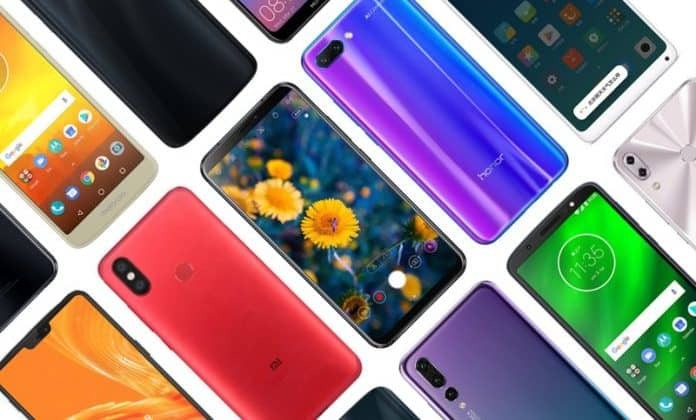 A preliminary bill of materials estimate suggest that a good quality product can be approximately of Rs 5,000 for the lighter version and high-end version around Rs 12,000 – 15,000. This Smart Wall Clock could actually become the hub of Smart Homes that we are already moving to where a lot many devices would be connected and smart. A mobile phone could also be the hub, but, because of its mobility characteristics, it may not always be within the premises not letting all the members of the family to use the benefits of a connected environment. Smart Wall Clock could be one of those areas within AppGets that the handset industry in India should explore helping them leverage from the present competencies and also extend smartness to another product category that could see revival through innovation. What needs to be emphasized is that the industry still has lots of opportunities provided they are able to come over the dominance of ODMs who influence a lot of their products, offerings and strategy. That would need them to invest more in experiments to create new opportunities rather than awaiting for some ODM to come to their rescue with the next big opportunity. What Beyond Smartphones? 0 out of 5 based on 0 ratings. 0 user reviews.